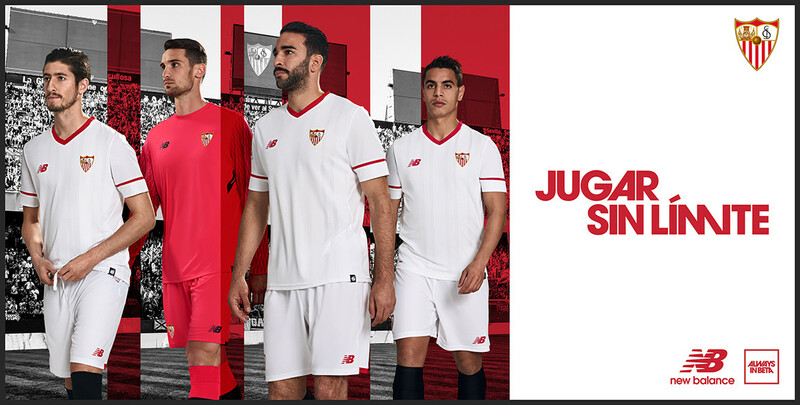 New Balance release another stunner, with the new Sevilla home strip giving off a fresh, clean look heading into the new season. 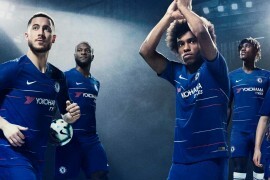 Football kits without shirt sponsors always look 100 times better, as there are no ugly distractions and the kits can be seen in all their glory. 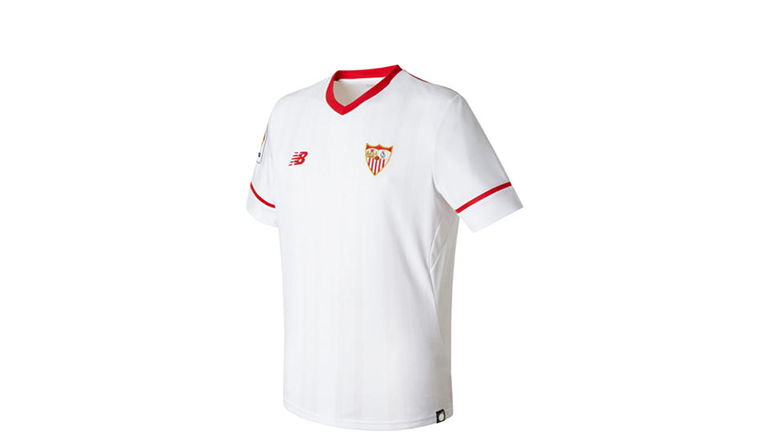 This is the case for the brand new Sevilla home kit, after recently leaving their shirt sponsor Puerto Rico. 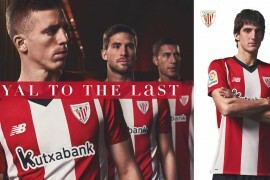 The bold white colours, something strongly associated with Sevilla FC, come back for another season. Jacquard stripes run vertically down the kit, with a red contrast rib v-neck collar sitting smartly on top. The red trim continues down the shoulders and sleeves, adding very smart detail. 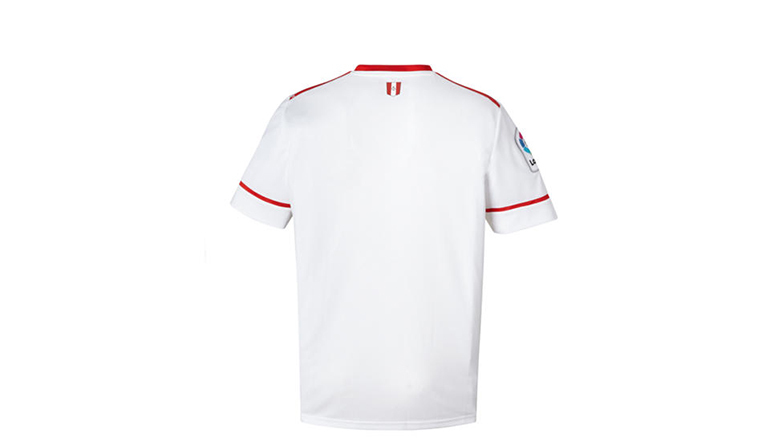 The clubs crest, in full colour, is satin stitched into the jersey, whilst the team’s original crest is added at the rear nape of the neck. 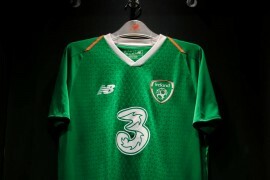 The strip has been developed using New Balance Dry performance technology, which acts as moisture wicking fabric that helps keep players cool and dry whilst wicking sweat from the body. 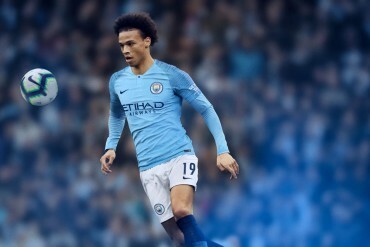 3D stretch mesh material sits on the under-arm regions, with a body map mesh to the back of the shirts, have been added to aid movement and airflow around the body.